Successful Australian business man, Paul Myatt, is also well known for his ability to teach and educate all levels and abilities in a diverse range of skills from music to swimming. His eclectic range of skills include teaching, coaching, writing, speaking, performing and singing. Paul’s greatest passion is encouraging life-long music making through music education and the positive effect this has on people’s lives. Scientific research continues to demonstrate through neurological studies that learning music has a long lasting and positive effect on the brain and brain development. The brain is on of the most exciting and almost completely unknown organs of the human body. Research suggests that learning music develops brain capacity enhancing spatial awareness, speech perception and the ability to simultaneously handle multiple tasks. 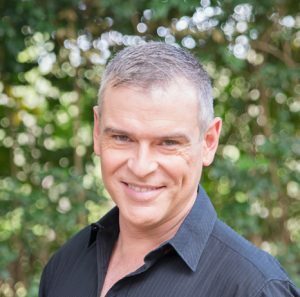 Established in 1994, Paul is a founding Director of Forte School of Music, an unique and highly successful music education network with over 4,000 students in Australia, New Zealand and the United Kingdom. Forte business partners are diligent passionate men and women who, like Paul, are passionate about the benefits that music education offers students of all ages from babies of just 6 months of age in Forte’s Jungle Baby Music through to seniors in the 80s and 90s. Paul Myatt is the co-writer of the easiLEARNmusic range of music education text books which were originally published by Warner/Chappell Music in 1997 – 2001. 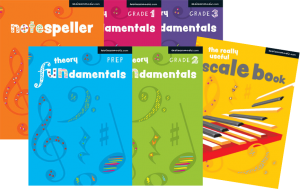 In 2016, new full colour editions of these books were launched with Hal Leonard, Australia’s leading music publisher. Paul has developed the easiLEARNmusic to provide assistance to music teachers and students who are wanting to learn music theory and expand their music abilities. In 2016 he presented at the NSW Conservatorium of Music and co-presented “Transform your Teaching“, a workshop for piano teachers with Tim Topham. Continuing to enjoy music, Paul performs in cabaret called 2Pauls and sings Bass with the Sydney Philharmonia Choirs Symphony Chorus. During his spare time, Paul is involved coaching swimming and running for the charity, Cantoo which raises money for cancer research in Australia.